For long, silver was looked upon as being the poor man’s gold. 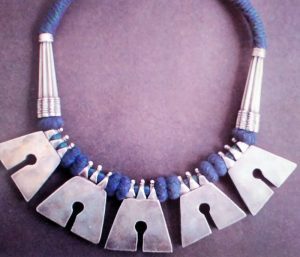 Traditionally worn by communities who could not afford to buy gold, silver is increasingly being worn as a fashion statement by sophisticated city women. And, in what must be a unique reversal of trends, the most sought after pieces are the most traditional ones that are dominating the fashion scene all the way from New Delhi to New York. Adornment by the use of jewellery is as old as the history of man. Even “primitive” tribes with little, if any, touch with the outside world wore jewellery, even if their clothes were scanty to the point of non-existence. 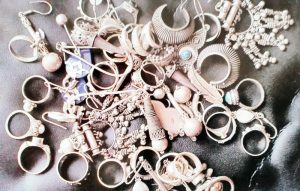 Jewellery, across the world, is worn variously as decoration, as protection from the evil eye, even as a weapon as evidence by “knuckle-dusters”. While some designs are worn only by young children, others are a sign of marriage and still others signify widowhood. Each community moreover has its own vocabulary of designs. In the context of India, the jewellery that is worn in one part of the country is completely unknown in another part. Not only that, but where one area has a multitude of communities living side by side, each possesses its own vocabulary of designs. This is clearly visible in a place like Banni, Kutch, where a huge conglomeration of castes and sub-castes each has its own range of jewellery, some of the most spectacular in the country. Thus silver ornaments take the place of a visiting card – one glance at the wearer tells you everything about her, from her address to her marital status. One trend among Indian village communities is the wearing of extremely chunky jewellery. How this came about reveals a great deal about Indian village life. As rural communities earned cash, it became difficult for them to deposit their wealth in a suitably safe place, banks being unknown at that time. Silver jewellery was a good bet. It could be worn on the person, and because no village woman was ever expect-ed to be alone or far from home, jewellery was safer from thieves than cash would be. Secondly it conferred status upon the wear-er, or more to the point, her husband. Thirdly, in times of financial crisis, it could always be sold for cash. 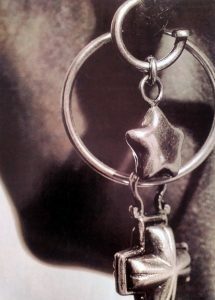 Thus chunky silver jewellery was dictated first by economic considerations and then by tradition. For silver jewellery to be called silver in the first place, meant that it has to consist of a minimum purity of 50 per cent, the rest being made up of alloys that differ from State to State. Less than this meant that no village family would purchase it. Any more than a silversmith would agree to buy it back. Tradition, again that all-important factor – determined exactly how much silver was to be used in each area. 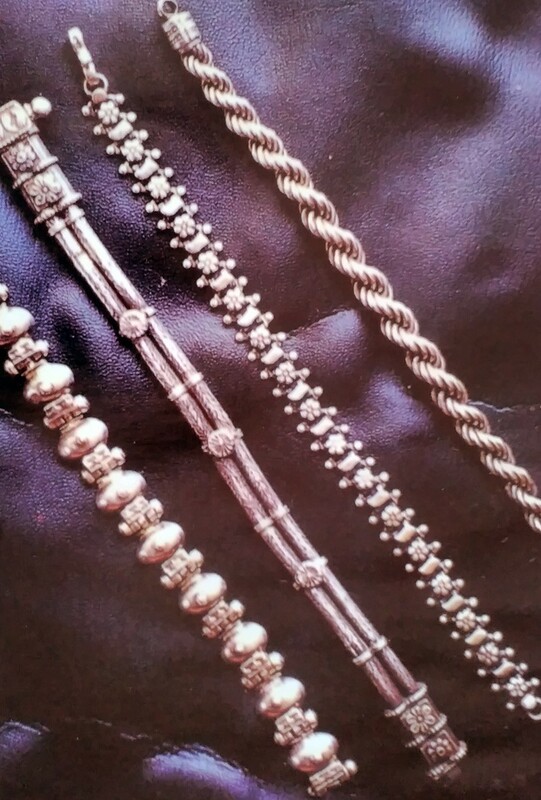 Thus silver ornaments in Gujarat usually came to consist of 70 per cent, while in neighbouring Rajasthan, 85 per cent was the norm. 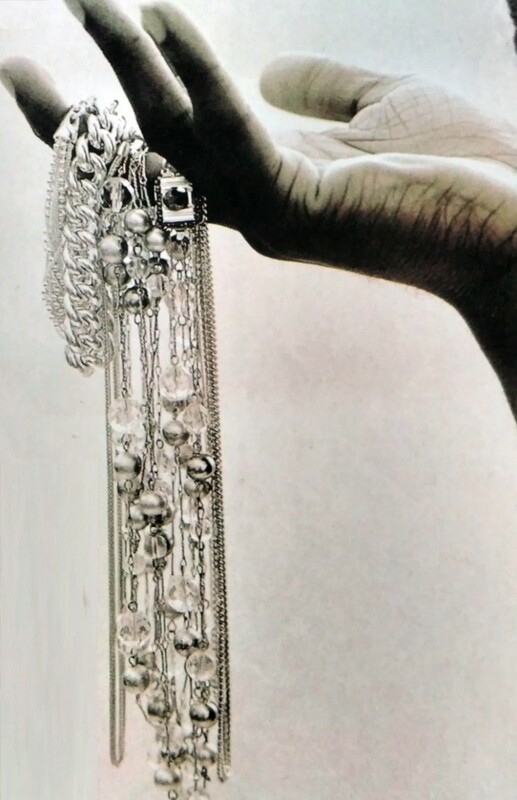 For centuries, village women would buy silver jewellery in times of wealth, only to sell it in periods of distress. 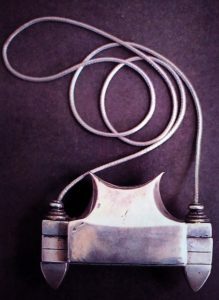 Given the superstitious horror of possessing something second-hand, no village woman would dream of buying used silver, so the silversmith tossed the object into the smelting pot to fashion a new piece with it. In the meantime, city women were discovering the cachet of silver, and as they had no compunctions about wearing second-hand jewellery, “old silver” (a more felicitous term than second-hand ornaments) came to occupy its own niche in the urban market. Today’s woman who wears silver as a fashion statement has the choice of old silver, new silver made into traditional designs or oxidised to give it an ‘old’ look, and sterling silver, made with the Western market in mind. She may wear a pendant from Karnataka, earrings from Himachal Pradesh, a waistband from Rajkot, Gujarat and anklets from Salem, Tamil Nadu with panache, but rural women from any of these areas would be consumed with mirth at the sight. Then too, the city sophisticate may find the jingle of silver beads on her bracelets utterly charming, completely unaware of their original purpose. Legend has it that hollow beads were arranged around anklets and bracelets to give off a jingling sound when hands and feet were in motion so that mothers-in-law could keep an unobtrusive watch on their daughters-in-law! So how do you set about actually buying silver? In fact how do you know that it is silver at all, and not white metal? If your preference is specifically old silver, these will be sold by the piece rather than by weight – normal day-to-day variations in the silver bullion prices will not be reflected in these ornaments. The point of acquiring one of these is the design rather than the purity, so it is meaningless for the buyer to insist on being shown a similar design with a higher or lower percentage of silver. After all the design may not be in production any longer—rural fashion and trends change too! Or you may want a new piece bearing a traditional design. These are much easier to come by, being made in vast quantities in such centres as Kolhapur (Maharashtra), Hathras (UP), Salem (Tamil Nadu) and Rajkot (Gujarat). They are usually lighter and less chunky than old pieces, although this is a rule of thumb, not a rigid fact. You are well with-in your rights to know what percentage of silver the piece contains. A reliable dealer would tell you straight away. Answers like, “We only sell 95 per cent silver” is more fiction that fact. In the last decade, India has become a huge exporter of sterling silver jewellery. Not bad for a country which doesn’t mine an ounce of the metal itself. All of this is designed with the Western wearer in mind, and made entirely by hand. It is India’s competitive pricing owing to comparatively cheap skilled craftsman-ship which gives it an edge over other South Asian countries which make silver jewellery entirely on machines. Most of this type of jewellery is a take-off on traditional styles. It is sold by a few dealers in the domestic market and is always of sterling silver, that is to say, it has the highest possible percentage of silver -92.5 per cent. Mukesh Jain, one of the best known dealers in Delhi, points out that sterling silver is always stamped with a tiny impression to that effect on the reverse side. As it is a criminal offence to stamp anything less than sterling silver with this, you can be sure that buying a piece of jewellery with this stamp means that it is in fact pure silver.